The South Korean electronics giant also launched new flexible mobile screen technology for its foldable phones, called infinity flex display and said it is working with Google on development. Foldable phones hold the promise of allowing consumers to do more complex work than would normally be done on a tablet or laptop, but with a device that becomes far more compact. The goal of Wednesday's Samsung event is garnering critical feedback as new technologies will require developers to tweak apps to make sure they run smoothly when the phone folds out into tablet form. The South Korean tech giant is among a handful of firms which have flagged that foldable phones will be coming to market soon. Although it has so far been mum on exactly when, analysts expect a launch date in the first half of 2019 - any later and Samsung would run the risk of new Apple phones stealing its thunder. China's Huawei Technologies Co Ltd has also said it is planning to launch a 5G smartphone with a foldable screen in mid-2019. Both Samsung and Huawei, however, have been beaten to the market by Royole, a Chinese display making start-up, which last week unveiled a foldable phone with a 7.8-inch screen, priced from around $1,300. Royole said it will start filling orders from late December, although little is known about the firm's projected sales. 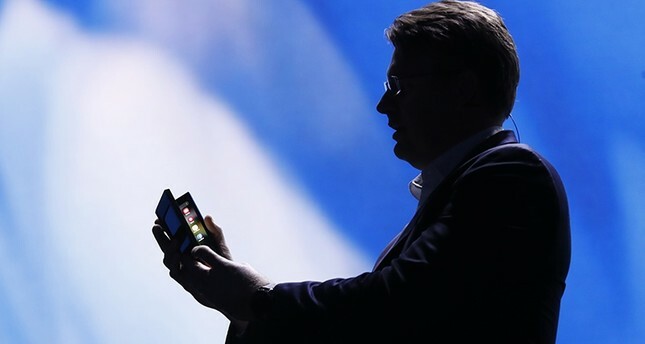 Samsung did not provide details on pricing of its new phone on Wednesday. The company needs to get the foldable phone right - hoping it will reverse steep declines in profit for its mobile division and restore some of the premium cachet its brand has lost to Apple Inc.